Our mentality is the strongest tool we have in achieving our dreams and goals. Everyone has the ability to build mental strength, but most people don’t know how. We spend a lot of time talking about physical strength and physical health, but much less time on mental strength and mental health. 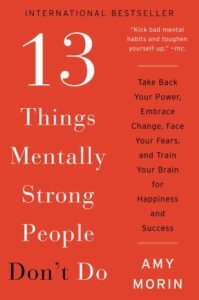 Perform exercises that will help us learn to regulate our thoughts, manage our emotions, and behave productively despite our circumstances – the 3 basic factors of mental strength. No matter what your goals are, building mental strength is the key to reaching your greatest potential. Amy Morin is a licensed clinical social worker and psychotherapist. She works as an adjunct psychology instructor. Amy’s expertise in mental strength has attracted international attention. Her bestselling book, 13 Things Mentally Strong People Don’t Do, is being translated into more than 20 languages. In this video she shares ways to build mental strength. Previous ArticleHow far can you get on R100 fuel in South Africa ?